It's hard to imagine this sort of thing routinely happening under Trump's white supremacist presidency to families who look differently. Say, blonde and white and wealthy. Below, the NBC San Diego news segment video. 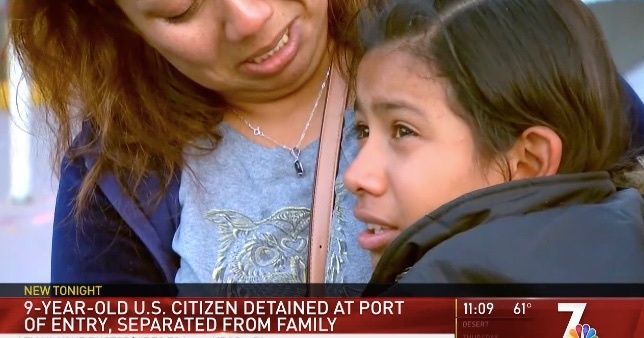 And after the consulate got involved, the child was released, and the family reunited.